2,912 sq ft; lot: 0.92 acres - MLS# 1610206 Courtesy of Keefe Real Estate, Inc. Truly a move in home. 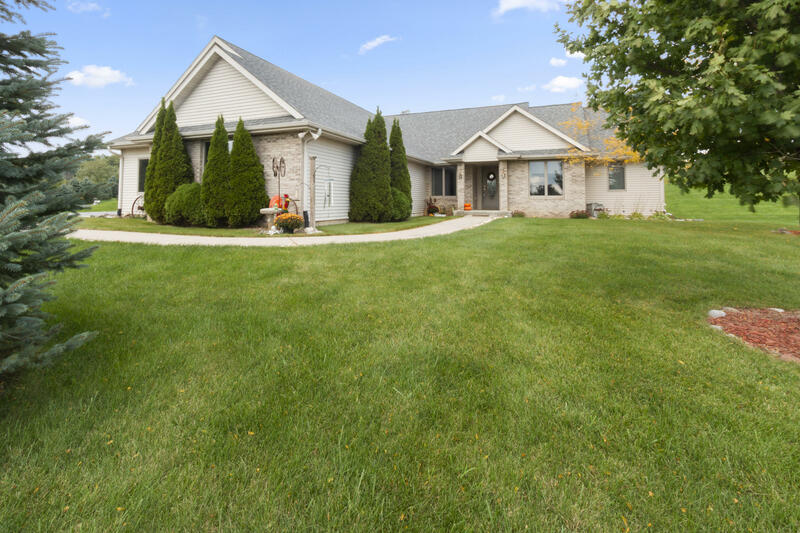 Come and see this solidly built ranch home with many special touches make this custom home. Generous room sizes that are light and airy. Master with his and her closets, separate shower and soaker tub. Family Room has vaulted ceilings and gas fireplace, kitchen is every cooks dream. You'll love the large deck for relaxing or parties. Fully finished lower level has large family room, rooms for hobbies or house guest. Plus plenty of room for your toys in this oversized 3 car garage.